Note: This has been moved to a tutorial: Repurposed Jeans (tutorial written in Oct. 2010) A download is no longer necessary. Last evening I had the privilege of presenting during the monthly American Sewing Guild's online meeting. My presentation was on how to re-purpose adult jeans into children's jeans. This e-class is meant for those who already have a pattern and some sewing knowledge, although it's still very easy. If you need a pants pattern, our Cute and Quick Pants e-pattern works well, and is what we use for these jeans at our house. This e-class is written with less detail than our regular e-patterns. Instead, it's similar to a tutorial. You can get your free download of the presentation by clicking "add to cart" in the right margin of our blog. And, as always, ask any questions you might have. 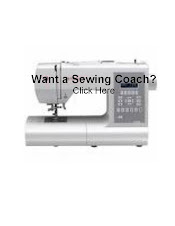 We aim to help people sew and have fun at it. Mary G- they usually download quickly and this file is relatively small. Do you have dial-up or broadband? Email me at squigglytwigsdesigns @ yahoo . com so we can trouble shoot this more easily. It's an awesome tutorial and has been extremely helpful/fun for us. I'd like to try this but can't see where the add to cart button to download it is. The Pants class has been moved to a tutorial. No need for a download. It's now the Repurposed Jeans Tutorial near the front of the blog. I'm sorry for the confusion. I'll edit this post to state that.